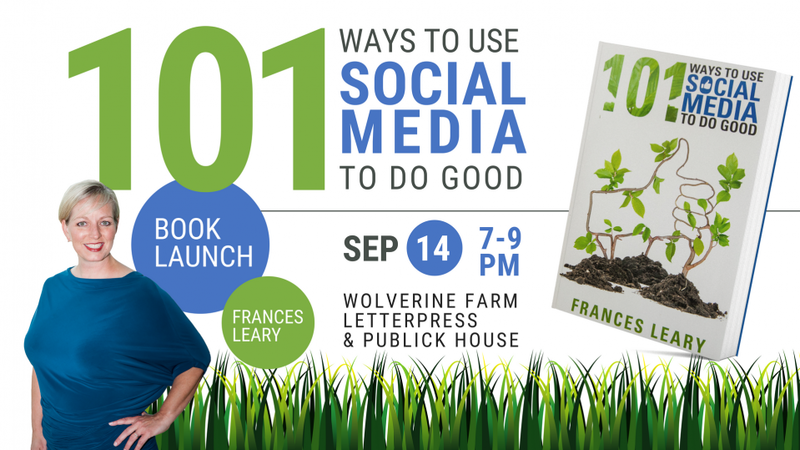 FORT COLLINS, Colo. - Sept. 10, 2018 - PRLog -- This Friday, September 14, Fort Collins author Frances Leary will launch her much-anticipated book entitled 101 Ways to Use Social Media to Do Good at a book release party at Wolverine Farm in Fort Collins. The book sheds light on a new form of social media etiquette and provides readers with 101 very simple actions they can take in order to use social media in a positive way. Given current trends in social media engagement, this book is timely and relevant for social media users of all ages. According to Leary, "People have forgotten that even though engaging on social media is an isolated act that we do when we are alone looking at our phones, it is also a very public action. I want to remind people that their actions on social media impact their own lives and the lives of others and to challenge people to make choices on social media that will have a positive impact rather than a negative one." Early readers are praising the book. Dr. Joe Vitale, author of The Miracle and Hypnotic Writing endorses the book as: "Excellent! Thought provoking, idea stimulating, and so practical that you'll want to tweet and post and share this book with everyone!" Mike Dooley, NY Times bestselling author of Infinite Possibilities, calls the book "An enjoyable and impactful guide full of constructive tips for all those of us who want to use social media as part of life's magical journey." 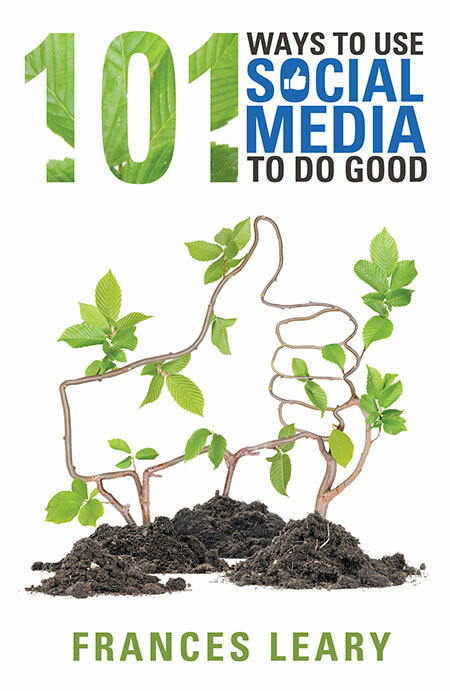 To lead up to the book release, Leary has launched a #101Days4Good Challenge, which challenges participants to post positive content on their social media. She has made it easy for people to participate by providing content that can be downloaded and shared. The book release party is a free event and open to the public. It will take place on Friday, September 14 from 7-9 PM at Wolverine Farm Letterpress and Publick House in Fort Collins, Colorado. 10% of all book sales from the night will be donated to Realities for Children to support Northern Colorado youth in need. Anyone who brings an new kids' toy or warm clothing item to donate will be entered to win a prize at the event. 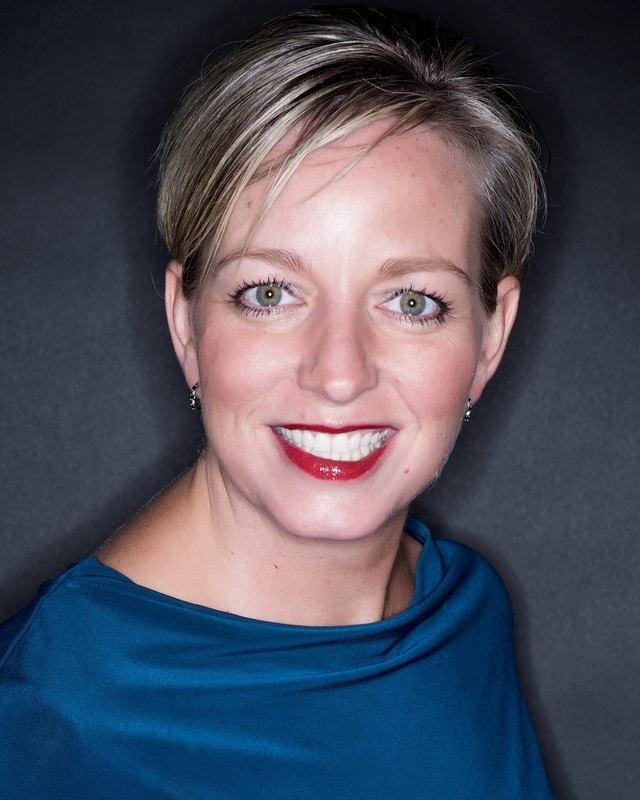 Frances Leary is an award-winning entrepreneur, speaker, business coach and president of Wired Flare Inc., a certified B Corporation and Best for the World Honoree. An expert in impact-driven online communication, Leary speaks internationally, championing big ideas and empowering change. A native Texan, Leary lives with her husband and daughter in Fort Collins, Colorado. Connect with Leary at www.FrancesLeary.com.